Sir John Soane's family tomb in Old St Pancras church yard is a staple of 'secret London' guidebooks. Designed by its chief occupant, the memorial was famously the inspiration for the classic red phone box. 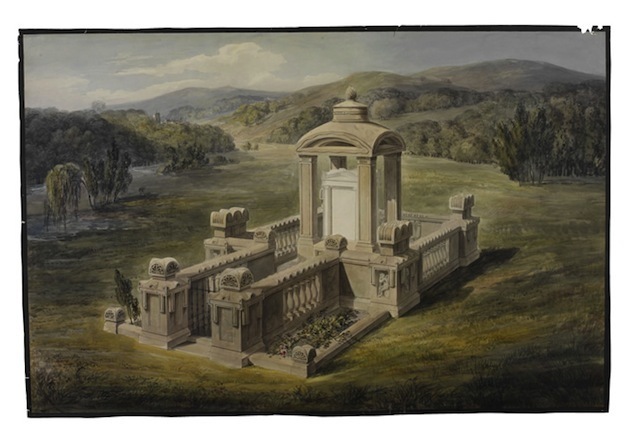 The blueprints for the tomb, along with those of four other London structures by the same architect, are now available online following an £80,000 grant from the Designation Development Fund from Renaissance Funding. Soane also designed the Bank of England, although most of his work has since been demolished or concealed by later alterations. The other buildings detailed on the site are Dulwich Picture Gallery, the Royal Hospital Chelsea (added to by Soane) and Pitzhanger Manor in Ealing. 2,200 drawings of the structures are now freely available on the Sir John Soane's Museum website (though you have to click around a fair bit to discover them).